This week’s economic news commentary has been dominated by the “what ifs” of a government shutdown; opinions of potential consequences are limited only by the number of commentators sharing their opinions. Unfortunately, more concrete examples of the shutdown were evident last Tuesday and Friday. The Department of Commerce delayed release of August’s Construction Spending report that were due last Tuesday and The Bureau of Labor Statistics delayed the release of September’s Non-farm Payroll and Unemployment that were due last Friday. The ADP Employment report for September posted a reading of 166,000 private sector jobs added against expectations of 180,000 new jobs added. September jobs added surpassed August’s reading of 159,000 new jobs added in the private sector. Freddie Mac’s Primary Mortgage Market Survey released Thursday brought a third consecutive week of falling mortgage rates. 30-year fixed rate mortgages had an average rate of 4.22 percent down from 4.32 percent the previous week. The average rate for a 15-year fixed rate mortgage fell by eight basis points from 3.37 percent to 3.29 percent and the average rate for a 5/1 adjustable rate mortgage fell to 3.03 percent from 3.07 percent. Discount points were unchanged from last week at 0.70 percent for both 30-year and 15-year fixed rate mortgages and rose from 0.50 percent to 0.60 percent for 5/1 adjustable rate mortgage loans. Weekly Jobless Claims were lower than projected. The reading of 308,000 new jobless claims was better than the 313,000 new jobs expected, but was higher than the prior week’s 307,000 new jobless claims. This week’s scheduled economic reporting is also subject to adjustment if the federal government’s budget is not resolved. The most recent FOMC meeting minutes are due on Wednesday; if released they are expected to provide details about the Fed’s decision not to change its current quantitative easing program. Weekly jobless claims and Freddie Mac’s PMMS survey of average mortgage rates are due Thursday. The University of Michigan Consumer Sentiment Index for October is set for release on Friday. Last week wasn’t kind to stock market investors, but weekly jobless claims fell to an unexpected low of 320,000 new jobless claims filed, the lowest level in nearly six years. Here is a review of the major events of the week. Monday: The federal budget for July shows an increase in its deficit to -$98 billion, a deficit increase of $28 billion over June’s figure of -$70 billion. The good news is that the deficit for the first 10 months of the fiscal year is $38 billion less than during the same period of the prior fiscal year. Thursday: Thursday was a busy day for economic news. The weekly jobless claims report came in lower than expected with 320,000 new jobless claims filed. This was lower than the expected. While this is a strong sign for the economy that would typically boost stock prices, the markets fell. Analysts cite a good news/bad news scenario in describing what happened. The good news was that jobless claims fell to a new low, but the bad news is that investors feared that this may give the Fed a signal to begin tapering its quantitative easing (QE) program. The Fed is expected to begin tapering its monthly purchases of $85 billion in treasury securities and mortgage-backed securities as early as next month. The QE purchases are intended to help hold down long term interest rates including mortgage rates. The fall in stock prices on Thursday and Friday suggested that fear of the Fed ending QE is more compelling than the lowest number of new jobless claims since October 2007. Freddie Mac reported that the average rate for a 30-year fixed rate mortgage remained unchanged at 4.40 percent with 0.7 percent in discount points. The average rate for a 15-year fixed rate mortgage ticked upward by one basis point from 3.43 to 3.44 percent. Discount points fell from 0.70 percent the prior week to 0.60 percent last week. The average rate for a 5/1 adjustable rate mortgage (ARM) rose from 3.19 to 3.23 percent with discount points unchanged at 0.50 percent. The 5/1 ARM provides an alternative to higher fixed rates for borrowers seeking lower mortgage rates and payments. Friday: Included Housing Starts for July, which came in at 896,000 as compared to expectations of 915, 00 0 and June’s figure of 846,000 housing starts. Building permits issued in July came in at 943,000, and surpassed June’s reading of 918,000 building permits. Increasing home values, buyer demand and a short supply of available homes were seen as motivating factors for builders to construct more homes. This week’s schedule of economic news is set to include the Chicago Fed’s National Activity Index on Tuesday. The FOMC minutes will be released on Wednesday along with Existing Home Sales. Thursday will bring Weekly Jobless Claims, Freddie Mac’s survey of mortgage rates and the FHFA home price index. 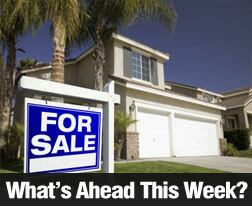 Friday will finish the week with a New Home Sales report. Highlights of economic news from last week, include a survey of senior loan officers from U.S. and foreign banks doing business in the U.S. They indicated that banks were gradually easing lending standards for business and consumer loans, but viewed lending criteria for home loans as more restrictive than other types of loans. According to CoreLogic, U.S. home prices increased at their fastest pace since February 2006. Mortgage rates rose incrementally, and the Weekly Jobless Claims report came in lower than the expected 339,000 at 333,000 new jobless claims. Monday: Bank loan officers surveyed indicated that while mortgage lending requirements have been eased for low risk mortgage loans, it remains challenging for those with less-than-stellar credit to qualify for home loans. Bankers noted some concern that easing credit standards may signal to the Fed that it’s time to taper the quantitative easing program that’s designed to keep long term interest rates, including mortgage rates, low. Tuesday: The CoreLogic Home Prices report for June showed that home prices rose 1.90 percent in June, and rose by 11.88 percent year-over-year. 48 states showed rising home prices while only Mississippi and Delaware showed a decline. Nevada led the list of higher home prices with a 27.00 percent gain year-over-year; Nevada home values were among the hardest-hit in the economic downturn. Thursday: Weekly Jobless Claims came in at 333,000, which were higher than last week’s reading of 328,000 new jobless claims. The four-week average is considered a less volatile indicator of unemployment trends. The four week rolling average for new jobless claims decreased by 6250 to 335,000. This was the lowest reading for the four-week rolling average since November 2007. Freddie Mac’s weekly report on mortgage rates brought not-so-good news; the average rate for 30-year fixed rate mortgages rose by one basis point to 4.40 percent, while the average rate for a 15-year fixed mortgage was unchanged at 3.43 percent. The average rate for a 5/1 adjustable-rate mortgage rose by one basis point to 3.19 percent. Discount points for 30-year fixed rate mortgages and 15-year fixed rate mortgages were unchanged at 0.7 percent, while average discount points for a 5/1 adjustable rate mortgage dropped to 0.5 percent. This week’s economic news includes the federal budget for Monday. Retail Sales and Core Retail Sales will be reported on Tuesday; the Producers Price Index (PPI) and Core PPI will be out on Wednesday. 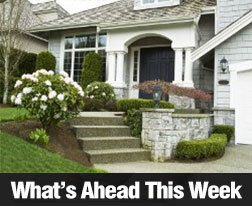 Thursday’s news includes weekly jobless claims and Freddie Mac’s mortgage rates update. The Consumer Price Index (CPI) and Core CPI (excluding volatile food and energy sectors) will also be released. 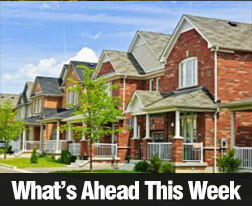 The NAHB Home Builders Housing Market Index (HMI) is also due Thursday. Friday’s scheduled economic news includes Housing Starts, Building Permits and Consumer Sentiment for July. The past week brought encouraging economic news from several sources. The FOMC statement indicated that the Federal Reserve has not set a date for rolling back its quantitative easing program and ADP reported more private sector jobs added than expected. Monday: Pending Home Sales: The National Association of REALTORS reported that sales contracts fell in June due to rising mortgage rates and a tight inventory of available homes. Tuesday: The S&P Case-Shiller Home Price Indices showed that national home prices increased by 12.2 percent annually. All 20 cities used in the 10 and 20 city home price indices posted gains in average home prices. Average U.S. home prices remained approximately 25 percent below their peak in 2006. Consumer confidence dropped in July to a reading of 80.3 as compared to a revised reading of 82.1 in June. Higher mortgage rates and stubbornly high unemployment rates likely contributed to a cooling of consumer enthusiasm. Wednesday: The Federal Open Market Committee (FOMC) said in its statement that based on its reading of current economic conditions,the committee had not set a date for beginning to reduce the Fed’s monthly asset purchase of $85 billion in Treasury securities and MBS. The program, known as quantitative easing (QE), is intended to keep long-term interest rates including mortgage rates lower. ADP reported that job growth for private-sector jobs exceeded expectations for July; the adjusted reading of 200,000 for July beat expectations of 185,000 jobs added and also surpassed June’s reading of 198,000 new jobs added. Thursday: Weekly jobless claims came in at 326,000. This was lower than expectations and the previous week’s reading, both of which were reported at 345,000 jobless claims. Freddie Mac reported that mortgage rates rose, with the average rate for a 30-year fixed rate mortgage coming in at 4.39 percent as compared to last week’s 4.31 percent. Average rates for a 15-year fixed rate mortgage came in at 3.43 percent over last week’s 3.39 percent. The average rate for a 5/1 adjustable rate mortgage was 3.18 percent and two basis points higher than the previous week’s 3.16 percent. Friday: The July Non-farm Payrolls report showed that only 162,000 jobs were added as compared to expectations of 180,000 jobs added and June’s reading of 188,000 jobs added. While housing markets are showing strong improvement, high unemployment continues to be a drag on the economy. The national unemployment rate for July was 7.40 percent and was lower than expectations of 7.50 percent and June’s reading of 7.60 percent. 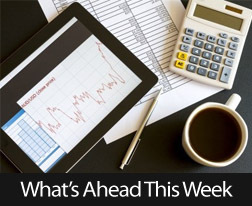 This week’s economic news includes the Senior Loan Officer Survey set for Monday, the U.S. Trade Deficit and Job Openings reports for June on Tuesday. On Wednesday, a report on Consumer Credit will be released and the Weekly Jobless Claims will be out Thursday, along with Freddie Mac’s mortgage rates report. No mortgage or related news is scheduled for Friday. The S&P/Case-Shiller Home Price Index (HPI) released Tuesday presented solid evidence that the housing recovery continued during the month of May. The Case-Shiller 20-City Index showed increasing home prices for all 20 cities. In surprising news, Dallas, TX and Denver, CO posted record year-over-year price gains that surpassed their pre-crisis peaks. Year-over-year home prices in Dallas increased by 7.60 percent and Denver home prices increased by 9.70 percent year-over-year in May. Home prices grew by 12.20 percent on a year-over year basis in May; this reading fell short of expectations of 12.40 percent, but moved slightly ahead of April’s reading of a 12.10 percent year-over year increase. The Case-Shiller HPI is based on a three-month rolling year-over-year average of home prices in the cities surveyed. On a seasonally-adjusted month-to-month basis, home prices rose by 1.00 percent in May as compared to April. Expectations were for a 1.40 percent increase over April’s reading, which came in at 1.70 percent. Analysts noted that home prices for two metro areas in Florida surpassed year-over-year gains in Washington, D.C.; this illustrates home values shifting geographically. Miami home prices posted a month-to gain of 2.00 percent and a year-over-year gain of 14.20 percent. Tampa, FL home prices posted a month-to-month gain of 1.80 percent on a year-over-year gain of 10.90 percent. Washington, D.C. home prices gained 2.00 percent month-to-month in May, but only gained 6.50 percent year-over-year. It’s important to understand that the data in the Case-Shiller HPI lags a couple of months behind current market conditions; the latest numbers were compiled prior to mortgage rates spiking. Economists expect that the impact of higher mortgage rates won’t be seen in home prices until fall. Higher mortgage rates are expected to slow home sales. If the demand for homes falls due to higher mortgage rates, inventories of available homes would expand, which would create competition among home sellers and potentially lead to lower home prices. For any questions regarding your mortgage rate and buying a home feel free to contact your trusted maine mortgage professional today. Last week’s financial news was relatively limited due to the Memorial Day holiday and no economic reports being released on Wednesday. The biggest news in terms of housing and mortgages was the S&P/Case-Shiller Housing Market Indices (HMI) released on Tuesday. The March HMI data for national housing markets reflected a sharp increase in year-over-year home prices from 9.30 percent in February to 10.90 percent in March. Twelve cities included in the Case-Shiller 20-city index reported double-digit year-over-year percentage gains for March home prices. While this data strongly supports recovering home prices, analysts cite the need for more jobs, which would enable more consumers to buy homes. Thursday’s weekly Jobless Claims Report from the Labor Department highlighted ongoing problems with lagging employment as new jobless claims jumped to 354,000. The four-week moving average for new jobless claims increased by 6.75 percent to 347,250 new jobless claims. Mortgage rates jumped in connection rising stock prices; Freddie Mac reported that the average rate for a 30-year fixed rate mortgage increased to 3.81 percent plus 0.80 percent in discount points. The average rate for a 15-year fixed rate mortgage increased to 2.98 percent plus 0.70 percent in discount points. Rising mortgage rates suggest that home buyers may benefit from considering hybrid adjustable rate mortgages; the average rate for a 5/1 hybrid ARM was 2.66 percent with 0.50 percent in discount points. The Chicago Purchasing Managers Index (Chicago PMI) measures how manufacturing and related businesses perform on a monthly basis. May’s reading increased to 58.70 and surpassed expectations of a 49.90 reading as well as April’s reading of 49.00. Readings above 50 are considered positive. Consumer Sentiment rose in May to a reading of 84.50, which exceeded both the expected reading of 83.80 and April’s reading of 83.70. 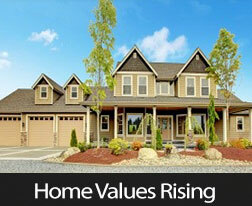 As consumers gain confidence in the economy, they are more likely to buy homes. Construction spending for April is due Monday with a consensus of +1.00 percent as compared to -1.70 percent in March. Rising construction spending could indicate an increase in residential construction, which has been facing obstacles including increasing labor and material costs and a shortage of available land for residential building. 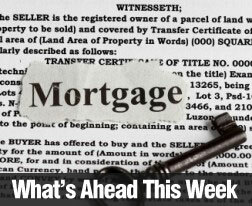 Thursday’s news includes the weekly Jobless Claims report and Freddie Mac’s weekly report of average mortgage rates. Friday brings the monthly Jobs Report, which consists of the Department of Labor’s Non-farm Payrolls report and the monthly unemployment rate. These reports are significant for gauging national and regional labor markets and for anticipating the Fed’s decision regarding its current quantitative easing policy. If the Fed ceases or reduces its purchase of Treasury securities and mortgage-backed securities (MBS), mortgage rates are likely to rise.